The name “Tiananmen Square” holds a lot of meaning. 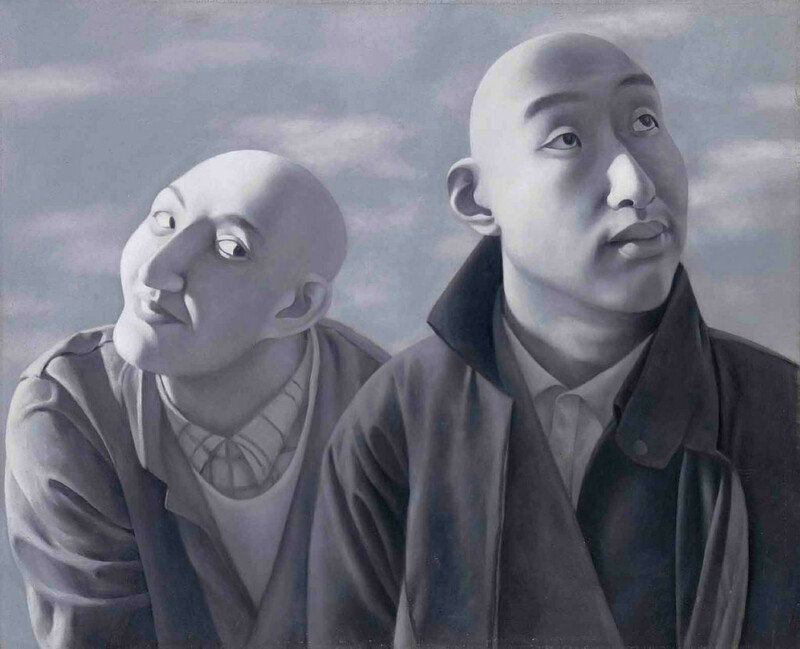 For many Chinese artists, it is the birthplace of China’s very own art movement: Cynical Realism. First coined by art critic Li Xianting, it refers to the art style used by many Chinese artists during the aftermath of the 1989 Tiananmen Square crackdown. It is a parody of the state-approved Socialist Realism art, artists in China sought to break away from the socialist hive-mind that has reigned over China since Mao. It expresses the slow westernization of China, as well as Chinese people and artists adopting more convenient western values. It doesn’t have a unifying aesthetic and is satirical in nature, with often ironic and humorous tones. The 80s and 90s were very important decades for China. Chinese society evolved rapidly, seeking to compete against the world powers of Russia and the USA. The people of China began to adopt western values, along with western technology, to compete. But for artists, adopting ideas not approved by the State proved fatal. Due to the political climate that came after the demonstrations at Tiananmen Square, many Chinese artists, fearing for their lives, went underground. It was this underground art scene that became the incubator of Cynical Realism. Artists, like Yue Minjun, Song Yonghong, Yang Shaobin, and Wang Jinsong gathered in groups that hold gatherings and art exhibits not approved by the State. Central to the scene was Li Xianting, Fine Art Magazine editor and the person who coined the name Cynical Realism. He was the authority of everything about the Chinese art underground, promoter, and is the to-go contact of foreign art collectors and curators when it comes to Chinese underground artists. However, critics loyal to the Chinese State have been criticizing Cynical Realism as un-Chinese, and calls it a criticism of the Chinese society, and is manipulated and influenced by Western powers. This is most likely true but not in the way the critics think it is: while Cynical Realism is definitely influenced by western ideas of free speech and freedom of expression, none of the Chinese artists means to undermine their gov’t and sow chaos to Chinese society. None of those artists is paid by any western government. The paranoia by the Chinese authorities, however, is understandable: The East and the West have been at odds for quite some time now, especially China, Russia, and North Korea against the USA and Europe. Each government has taken steps in the past to undermine the rule of each other, spy on each other, and threaten each other. And though China has no right to point fingers, you really cannot blame them when they suspect Cynical Realist artists when their all clients are from the West. Each artist has their own devices when creating Cynical Realist art: surreal colors, dead-fish stares, faces of people that can either be crying or laughing, though you can’t tell which, as if they’re a mask. It is unknown if this is how Chinese society is actually or is this how the artists want the world to view China. It certainly matches western prejudice against Chinese society, who views them as Communists and Socialists, and where every man is oppressed and all they can do is wear a mask and pretend to agree. Aldous Huxley, who died in the 60’s, described Cynical Realism before it became an art movement in China: “Cynical realism is the intelligent man’s best excuse for doing nothing in an intolerable situation.” It is kind of true, given that, if the Chinese people are oppressed, the Chinese artists choose a style of art that means something to the west but it isn’t a cry for help or a call for change. Instead, they choose to say “this is how China is,” making art that doesn’t help their supposedly intolerable situation. 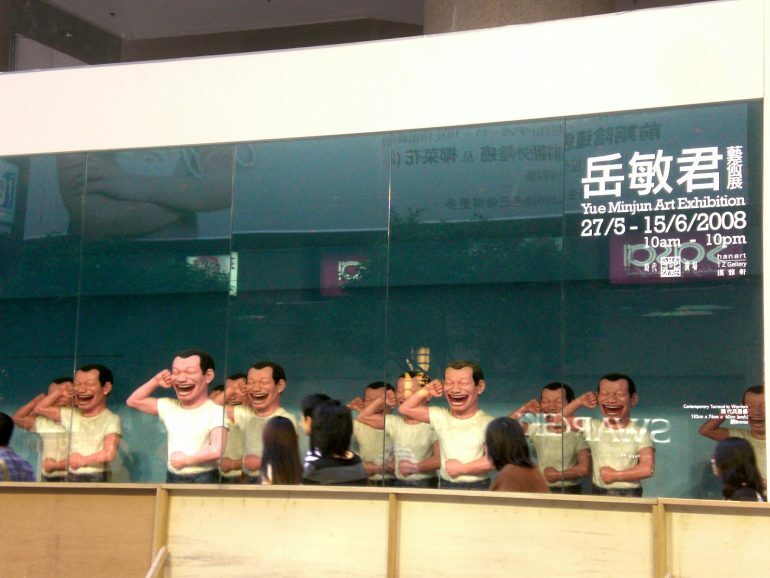 1st Image: a poster for Yue Minjun’s Art Exhibition in 2008, in Hong Kong. Via Wikipedia. 2nd Image: Series 1, No. 5 by Fang Lijun. Via Flickr.